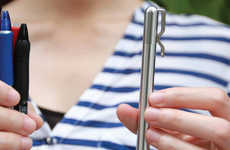 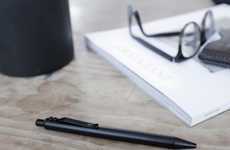 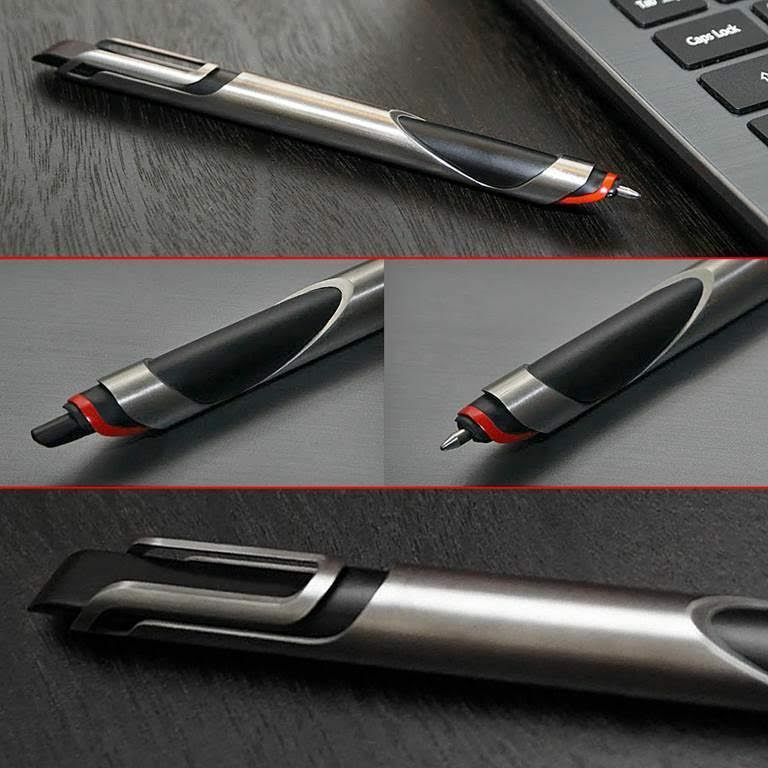 The 'if...pen' is a unique new pen that allows the user to write simply by squeezing the grip, meaning that there is no cap, clicking or twisting needed before writing. 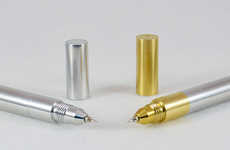 The sleek pen is made from Titanium. 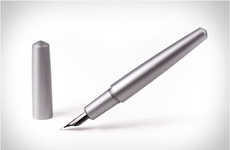 The pen looks minimalistic and its Single Motion Activation makes it very minimalist-friendly. 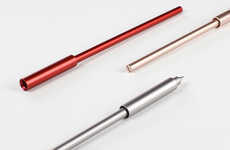 Designer Dave Colliver applied the premise of eliminate, combine, rearrange and simplify in designing this new pen. 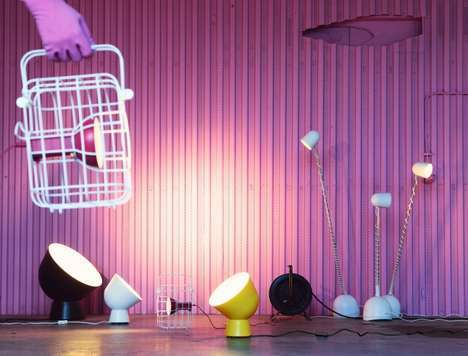 Colliver drew his inspiration from everyday products that blended "simple pleasure with style, quality and durability." 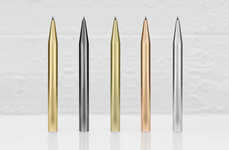 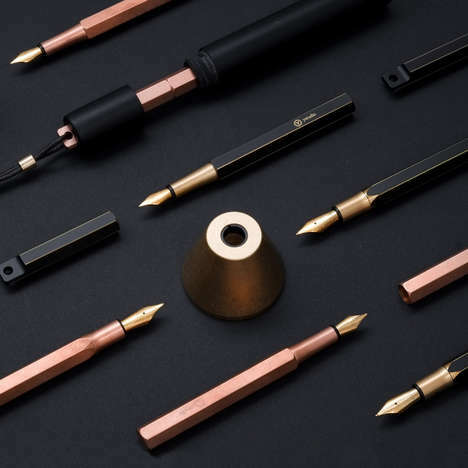 The if...pen is designed for durability as well with the one-piece barrel and clip made of Titanium, so users will only need to replace ink. 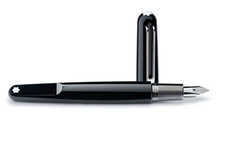 All pens in the first release will be marked with '01' to signify it is a first edition. 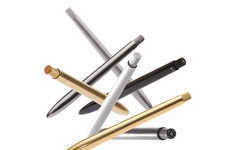 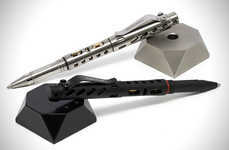 The pen is intended to be a fan favorite for both pen collectors and daily users.